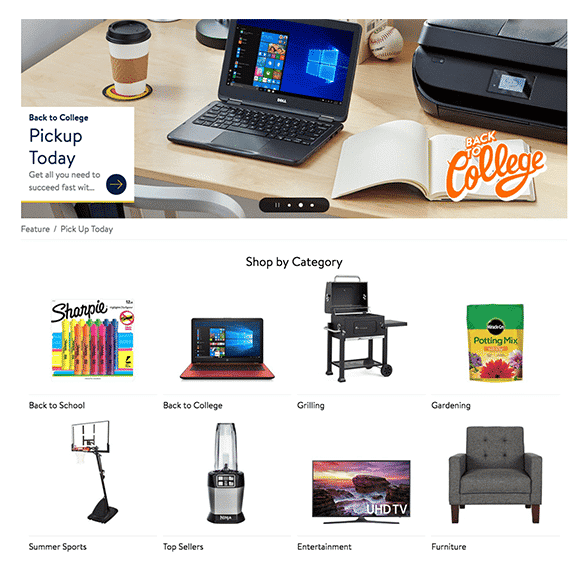 While Walmart has stayed in the headlines for a consistent string of acquisitions and new brand launches, the mothership has been quietly improving its digital experience. For example, the brand now offers pick-up services to customers who prefer to shop and pick-up their online purchases in one of Walmart’s 5,000 brick-and-mortar shops. 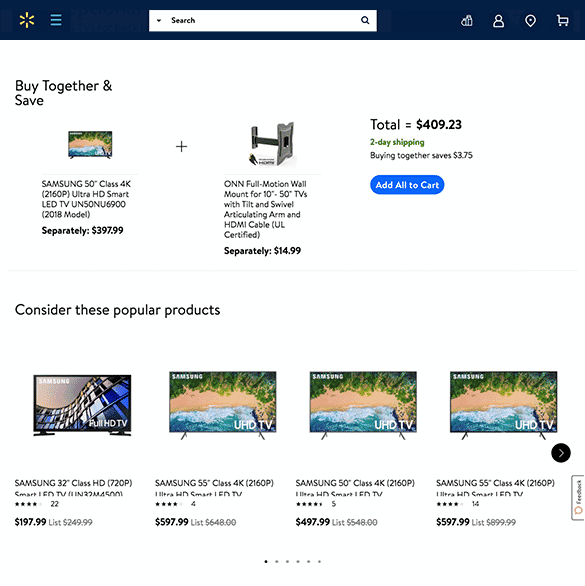 This year, Walmart invested in a website overhaul, focusing on a regional ‘trending’ section for popular items and region-specific checkout services offered at a user’s preferred location, in addition to improving email to include localized and personalized recommendations. Walmart posted a 40% increase in ecommerce sales and its stock increased more than 10% after reporting its second quarter earnings. The brand is experiencing its best comparable sales growth in a decade, proving that digital innovation couples with traditional in-store shopping for an overall effective personalization and business strategy. Walmart boasts a suite of modern digital properties, with significant in-store features. You can shop an immense list of attribute-based product suggestions online and pick up your purchases the same day in-store. We love Walmart’s extensive approach to recommendation usage, featuring product suggestions like “Popular near you,” “Buy together and save” bundles, and many more that enable this global retailer to get local and help shoppers save (while spending more). Walmart’s app allows you to seamlessly switch from your laptop to your mobile phone and continue shopping. 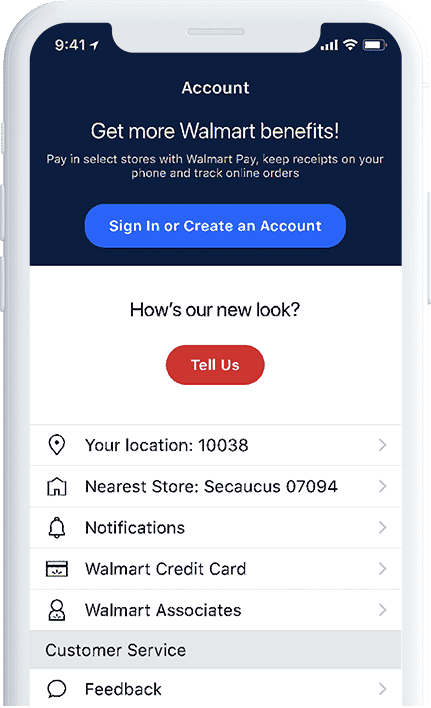 The app uses biometric data for fast checkout with Walmart Pay in more than 4,500 locations, a level of personalization that only brands at this scale can offer.